Janice Lee Hoover was born on September 7, 1946 in Detroit, Michigan. She was the second child, and only daughter, of the late Edward and Mary Hoover. 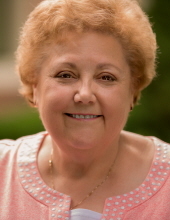 Janice passed away on March 23, 2019 in Ann Arbor, Michigan at the age of 72. A caring and kind woman, Janice had a big heart. She proudly shaped young minds as an elementary school teacher for over 30 years, primarily teaching 4th Grade at Memorial Elementary in Riverview, Michigan. Early on, her Dad’s interest in field trials of Brittany Spaniels led to Jan’s falling in love with training and showing of the dogs. With her first Field Trial Champion, she was hooked. Jan continued on to produce several dual champions in the field and show ring. Jan became so accomplished and well known that she was asked to be one of the first female judges for the Brittany Spaniel club and then as a show ring judge. Jan was thrilled when 10 years ago she found an old camera with film inside and the pictures were of her judging a show ring competition in the 70’s. Later on, Jan wanted a Bichon Frise and of course, showed Coke and made him a Champion. Not enough though, Jan entered him into the Canadian showing circuit and made her dog an International Champion. Jan’s last Bichon is Gracie who has brought so much joy to her life over the last 12 years. In retirement, she moved to a lakeside home where she loved viewing the water and observing the wildlife outside her window in the warmth of her fireplace. Jan was the cherished sister of the late Chuck, and Jim (Denise) Hoover. Dear aunt of Mike Hussin. She is also survived by many loving extended family members, friends and her beloved dog Gracie. The Hoover family will receive friends on Wednesday, March 27, 2019 from 3-8 pm at the Lynch & Sons Funeral Home, 340 N. Pontiac Trail (3 blocks south of Maple Rd) in Walled Lake. Her life will be celebrated with a service on Thursday, March 28, 2019 at 11 am at Michigan Memorial Park, 32163 W. Huron River Dr. (west of Middlebelt Rd.) in Flat Rock. Janice will be laid to rest alongside her parents and brother following the service. For those who wish to make a memorial contribution in Janice’s memory her family suggests donations to Leader Dogs for the Blind in Rochester MI, the American Heart Association or the American Cancer Association. 3216 W. Huron River Dr.
"Email Address" would like to share the life celebration of Janice Lee Hoover. Click on the "link" to go to share a favorite memory or leave a condolence message for the family.